Top 100 in the Nation! There is no greater compliment an attorney can receive than entrusting Farahi Law Firm with your referral of family and friends! We love you and we are so thankful you love us too! Contact The Experts Right Away! Free Consultation! No Fees or Cost Till We Win! We specialize in Car Accidents, Motorcycle Accidents, Bicycles Accidents, Slips, Trips, and Dog Bites in California. We will help you get the medical care you need and the financial recovery you deserve. Your insurance company may not be on your side! Let us help you! The BEST Motorcycle, Automobile and Bicycle Accident Attorney in Los Angeles, CA to Give You Valuable Information About Personal Injury and Wrongful Death Claims and Cases? No Lawyer can say one is the best, but we can tell you we have valuable information for you. We strive to get you the best medical treatment available for any and all injuries resulting from an accident or incident with no immediate out of pocket cost, we use a lien on your case to pay for your medical treatment! We can send you to orthopedic surgeons, neurologists, chiropractors, physical therapists, therapists for emotional issues, and the list goes on. We have a network of doctors in all areas and we would love to serve you in your time of need. An accident or incident can cause tragedy in your life. Let us walk you through the process and give you the physical, emotional, and financial success you deserve. 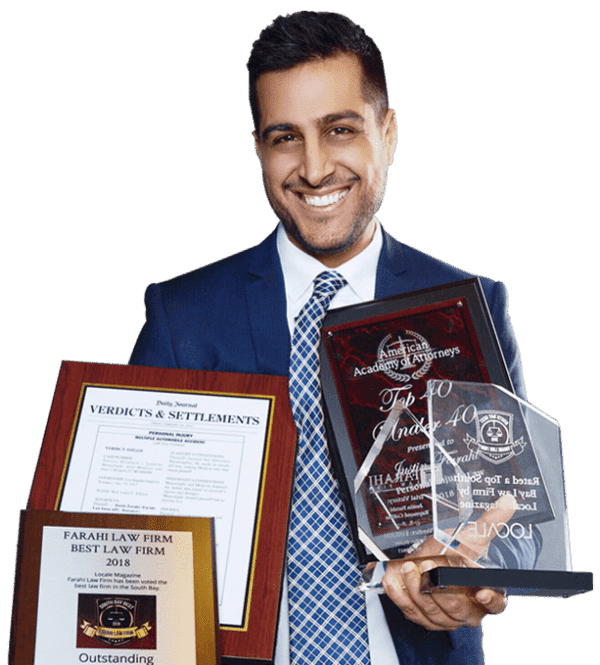 Justin Farahi is a really nice person and very informed lawyer. He helped me like my family over the dispute which I had with the person who was on the fault to come in front of my bike by turning without giving any signs. I would highly recommend him. They feel like friend to you. A great support to deal with car accident and seeking reimbursement from insurance company. Amazing law firm with very caring team. I've had several cases with them and they continue to exceed expectations. Highly recommend. Automobile Accidents – It is an all too common misconception that the victims of automobile accidents do not need a lawyer. Did you know that approximately 13,000 fatal motor vehicle accidents occur in the United States every year? We want to keep you informed in all that is happening in Virginia. Here you will find the most effective legal strategies to help with your case or claim, and great advice on how to handle your claim, and much more.